The Canadian Under 25 Championships were held this weekend in Winnipeg, MB which saw three athletes from British Columbia head to the event to represent our Province. With a great few days of Bowls the U25 Girls would play 6 games as they would play two games against each competitor as there were 4 girls that were entered in the tournament. The Boys would play 5 games split out into two sections. In the Girls action it was once again Jordan Kos who would lead the way through the round robin as she lost 1 game, which came against Carah. They would split their two games against each other setting up a final as the top two players would make it to the finals. Much like last year it was a great final as it came down to the wire as Webster would win a close game 21-20 to take the Gold Medal and title of the Canadian Under 25 Champion. This continues the run of success at this tournament in the Girls’s Division as last year Carah won and before here Superstar Pricilla Westlake would own the title for 3 years, holding the trophy in our Province for the last 5 years. Speaking with Carah today she said, ” I am feeling absolutely ecstatic to be able to represent Canada again in Glasgow, Scotland. The final game against Jordan was so close that regardless of who won, Canada would be proud”. Carah will heading to Glasgow, Scotland December 3rd-9th of this year for the World Youth Championships. Congratulations Carah on another great run to the title and becoming a two time Canadian Champion! The U25 Boys had a tougher time on this trip as both Max and Michael would finish 2-3 in their sections missing out on the playoffs. Both played great throughout the tournament and had a blast being there representing British Columbia. A massive Thank you to all the event organizers who put on a great tournament for all the youth across the Country. 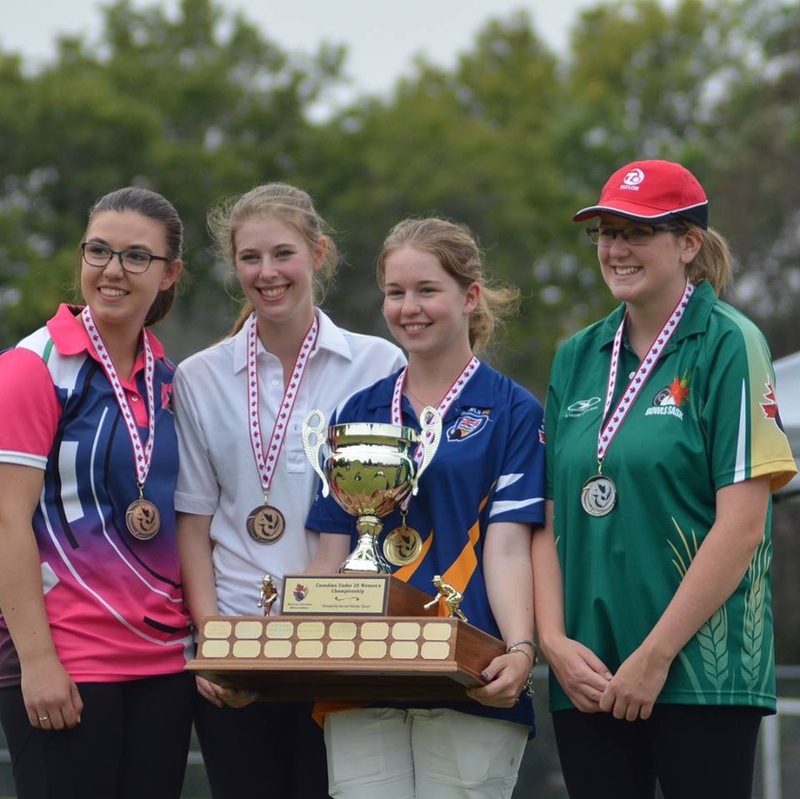 These players are the future of Bowls in Canada so hoping that they will stay encouraged and should be congratulated on all of their success. You all did a great job out there so thank you for making the trip and doing us proud!